we'll skyrocket your business growth with Quality Custom Software Solutions. 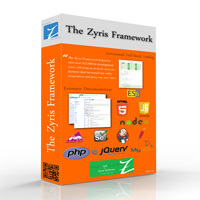 At Zyris Software, we develop quality custom software solutions for business, startups, the web, and machines. Designing, developing, and managing quality software can be a daunting task especially if software is not your business. At Zyris, we excel developing cost-effective custom software solutions for business. We’ve fine-tuned our processes, invested in our team, built the tools, and set up the necessary infrastructure so that you don’t have to. We are here to help you realize your goals to grow your business and get that edge over your competition. We specialize in software technology. If it has a chip in it, we can work with it. It’s like putting a pair of rockets on your little Red Wagon. 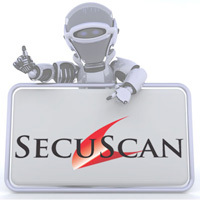 Custom Digital Process Software that will put your business ahead of the competition. Make your business infrastructure effortless and more profitable. Custom web and cloud-based applications that enable new opportunities for your business. Capture, curate, and utilize data on any device anywhere. Leverage network connections to facilitate communication between your company’s devices and systems. Empower your business with cutting edge smart devices that unveil a revolution of growth for your company. Have a dream and need a team? Realize your product faster and get in front of your customers sooner with our product design, development, and prototyping. The key to creating a solid product is less about the result and more about the process to create it. In software development anything is possible; if you can dream it, we can create it. Our guided process helps you realize your goals through the most efficient ways possible. We understand that your investment is important to you. We strive to ensure that your investment’s return comes from a relationship of integrity, authenticity, and transparency.